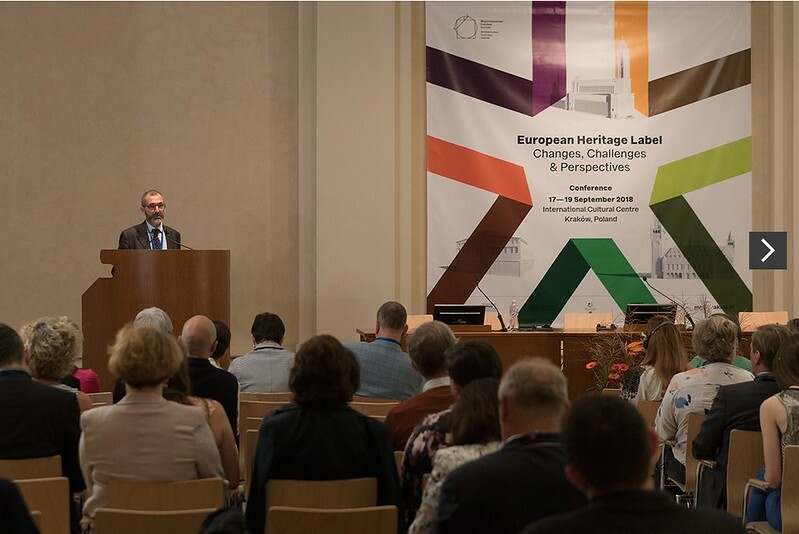 Europa Nostra participated in the conference “European Heritage Label: Changes, Challenges & Perspectives” that was held from 17-19 September in the historic city of Krakòw, Poland, in the framework of the European Year of Cultural Heritage 2018. The European Heritage Label, awarded to sites that symbolise European ideals, values, history and integration, is an initiative undertaken by the European Commission. Its Director for Culture and Creativity, Michel Magnier, was among the speakers at the event. The Secretary General of Europa Nostra, Sneška Quaedvlieg-Mihailović, contributed to the panel discussion on the first day of the conference. Together with co-panellists Beatrice Kelly and Csilla Hegedüs, who are both members of the European Heritage Label panel, the Secretary General discussed the success of the initiative, the challenges and the possible way forward, especially in light of the European Year of Cultural Heritage. The conference was organised by the International Cultural Centre (ICC), which is also the Polish National Coordinator for the European Year of Cultural Heritage 2018 and a long-standing and active member (Association Organisation) of Europa Nostra. The conference programme featured several keynote speeches, the presentation of case studies and visits to European Heritage Label sites. The European Heritage Label was established in 2011 and is financed under the Creative Europe programme of the European Union. Since then, 38 sites have been labelled. Earlier this year, the European Commission launched an online public consultation about the European Heritage Label as part of the first evaluation of this scheme (a summary of the consultation is available here).